Published on August 22, 2013 by Kristina @ Family. Work. Life. Ladies, I have found it. The ultimate resource to help you fix those baby sleep issues. And because we’re all in this together, and we’re all nicer people when we’re rested, I am sharing it with you. My first kiddo was an awful sleeper. He turned into a wonderful sleeper shortly before a year, but those first months were rough. Rough, I tell you. I tried Babywise and a few other things but nothing worked for us. My son ate every 2 1/2 hours, round the clock, for months. But I can’t go back in time, and he sleeps now, so I’ll move on. My second baby was the type of sleeper that you only dream about and, quite frankly, the kind that made me hate other moms while I was dealing with exhaustion of my non-sleeping Baby #1. I knew I had hit the lottery with her and it had pretty much zero to do with anything I had done. Slowly, though, she started waking more at night. It was manageable and I attributed it to developmental stages, sleep regression, and our family’s summer camping/traveling schedule. A couple weeks ago, though, my daughter started waking up EVERY. SINGLE. HOUR. That’s right. We saw ALL of the hours on the clock between 10:30 pm and 6:00 am. And it was sucky. 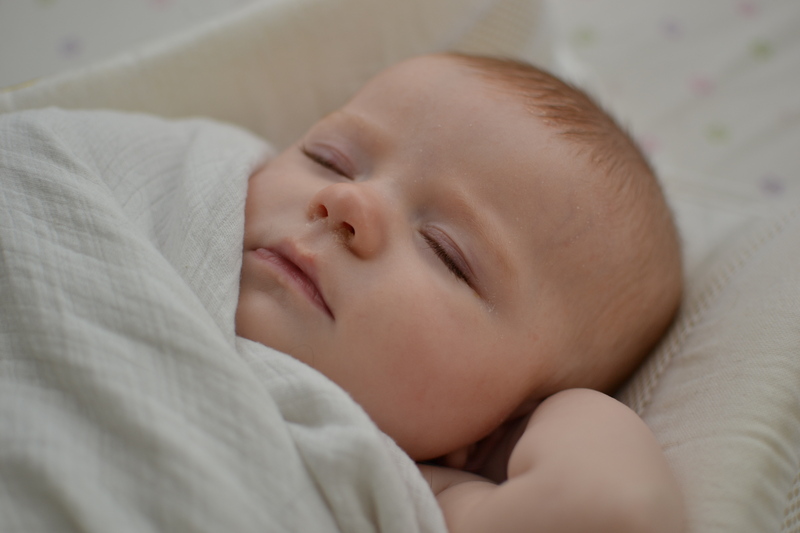 We tried a few things – swaddling tighter, not swaddling, the rocker sleeper from her newborn weeks, and we tried to attach her to a comfort item. And every night we’d put her to bed at 7:30, cross our fingers, and then cringe when she wailed at 10:30, knowing it was the signal that another short night was in store. Ummm…I don’t know how else to say it, but I’m pretty sure it was the best thing that ever happened to me. The website is a great resource for clear, readable (even entertaining!) information about baby development and sleep, helping you identify the specific sleep issue plaguing your baby. After you figure out the problem, you can craft an appropriate solution. For Brynna, we realized that since she had achieved object permanence, she was freaking out every time she woke up and her binky was missing. That’s right, her binky – the thing that parents practically beg their newborn to take for comfort, the tool that helps them drift off to sleep in those early months – was the same thing causing Brynna’s near-constant waking. We eliminated it and the first night, she cried for 7 minutes, took a break, cried for 3 more, and drifted off to sleep – not even stirring until she wanted to eat at 3:30. The second night she cried for 5 minutes and didn’t wake until 4:45. The third night she didn’t make a peep at bedtime. And so, I’m sharing this with you in case you haven’t come across it before. There is tons of information on there, but some of the most helpful posts (I found) were the series on sleeping through the night, how to cry-it-out, different types of cry-it-out methods, the best times for sleep training, and night weaning which, I learned, is different than sleep training. If you have a baby who doesn’t sleep well, read it. If you have a baby who does sleep well, bookmark it for when they decide they’re not going to anymore. And if you’re pregnant, read it, then bookmark it. So that way you have a clue what you’re doing when the baby comes home, and you can go back and reference it when you’re too tired to remember what you read.